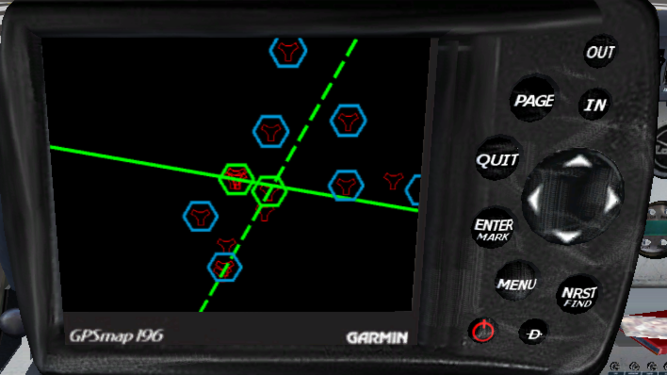 The Garmin 196 is currently in the process of being ported to Canvas and MapStructure by F-JJTH. This is exactly the reason, why we've been working towards an aircraft and GUI agnostic abstraction layer using MVC design concepts - so that reusing and integrating such stuff is really straightforward, without people having to come up with their own custom maps and layers from scratch. Today, just the MapStructure framework is under 1k lines of code, and is making roughly 9k-15k lines of C++ code obsolete in FlightGear (agradar,groundradar,wxradar,map dialog), unifying the whole shebang in the process, which also ensures that more modern OSG/OpenGL can be used, i.e. better performance in the long-term. This all has taken place in under 24 months actually (MapStructure just being 6 months old now actually) - whereas hard-coded instruments (wxradar, agradar, navdisplay,kln89 etc) are usually 5+ years old, and things like the Map dialog even older - in comparison, these were all "easier" to come up with in the first place, but obviously don't scale as well as a Canvas-based solution. Gijs NavDisplay framework is already better accessible and more feature-rich than the original ND code. But this kind of work isn't exactly fun, it comprises lots of refactoring and is more about talking and coordinating things than actually coding stuff - because the implementation may very well just be a fraction the size of all the manifestations that are hopefully replaced over time. — Hooray (Wed May 14). Re: scaling instruments in xml. If you'd like to help in one way or another (no programming skills needed, Inkscape artists also needed! ), please get in touch with F-JJTH or Hooray on the forum. Also see Garmin GPSMap 196. 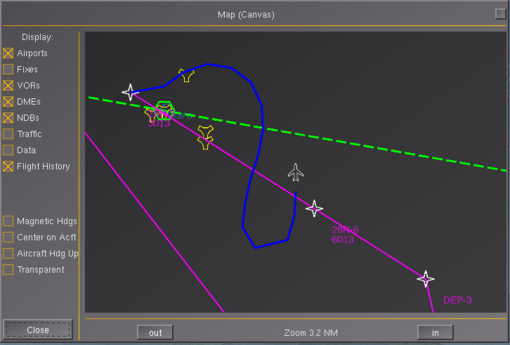 Canvas is a relatively new technology in FlightGear, and it not just a single technology, it's built on top of other technologies, like the Property Tree, ShivaVG/OpenVG, OSG and OpenGL. As you may have noticed, we didn't even mention Nasal yet - that's because Nasal scripting, strictly speaking, isn't even required to use Canvas - the whole thing can be used without touching any Nasal - just by using the property tree, the built-in httpd or even the telnet interface. In theory, you could create a canvas just by setting properties, and even add placements (GUI/scenery/aircraft) by doing just that. Canvas being a relatively new technology, we obviously still have to learn what works and what doesn't, and often that also means finding things that are too slow for some reason. And these days, there are easily a handful of abstraction layers involved, all of which may contribute to things being too slow. And debugging/profiling isn't always straightforward, especially when several boundaries are crossed (Nasal, property tree, C++, OSG/OpenGL). 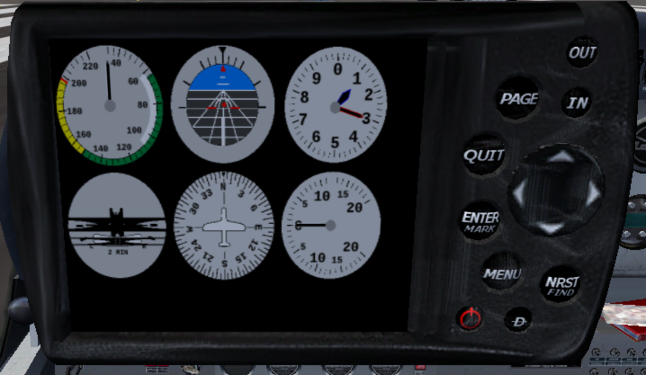 Just because there are means available to add scripted graphics to FlightGear, doesn't mean that people automatically know how to use this technology properly. For example, the very first version of the airport selection dialog was much slower than necessary, simply because it would redraw stuff unnecessarily, and not even use separate layers (canvas groups) for different features like airports, taxiways, runways etc. Since then, we've learned a lot about using Canvas properly, but also about the combination of using Nasal and Canvas, including other subsystems. So, as Canvas is a fairly recent feature, there's sometimes some really naive stuff done in various areas, that makes people think that Nasal and/or Canvas are generally slow. However, that is not generally true. Aircraft like the m2000-5 or the extra500 are indeed fairly slow - not primarily because of Nasal/Canvas, but due a combination of factors, including several other FG technologies. And the 747 or 777 are slow even without any Nasal/Canvas code running; we can actually measure now how little impact our Nasal/Canvas code has, and how significant the impact is due to complex cockpit modeling (many polygons and high resolution textures). Understandably, under such circumstances, improper use of Nasal and/or Canvas may cause additional performance issues. And people may easily draw false conclusions under these circumstances. Anyway, nobody should simply "port/convert" stuff like -for example- the Garmin196 to use Canvas, because that's exactly where all those problems come from: Canvas and Nasal themselves are simply too low-level for these purposes, people still need to be very experienced to come up with fast code here, very familiar with FG and certain Nasal technologies like timers and listeners (or the whole process inevitably involves lots of trial & error). Typically, that really only applies to core developers still, or fgdata committers who have extensively worked with both Nasal and Canvas over the years. Most people only understand #1 (well, partially), even though writing really fast code may very well involve looking at several layers in combination to see how they affect each other. So writing "fast" Nasal/Canvas code still is quite an undertaking despite things being accessible from scripting space these days. And even our most experienced Nasal/Canvas contributors are still learning new things each day. Which is exactly the point of having MapStructure and the NavDisplay frameworks: those are designed to handle things efficiently, e.g. by using smarter queries, smarter updates, and techniques like caching or selective/delta searches. Imagine it like "Ruby on Rails" for aviation charts - that's what the whole MapStructure framework is all about: maps and charts. The NavDisplay framework also used to be fairly inefficient in its early days - since then, we've significantly reworked it to use MapStructure. That first introduced some ugly hacks because we didn't want to rewrite it completely, but now its layers are mostly using MapStructure. And most of the original ND stuff has been refactored, generalized and integrated with the MapStructure framework, so that this very code can be used in other places, not just other aircraft, but also GUI dialogs. Very fast Nasal/Canvas code will typically do very little at runtime/frame rate, but instead use pre-created data structures and dynamically toggle canvas layers on/off (show/hide groups) and update the underlying data selectively, while using cached images instead of having lots of identical OpenVG paths. We've arrived at these conclusions based on testing and lots of profiling. Frame rates >= 60 fps are not impossible to achieve like this - but coding such a design is obviously much more involved than simply drawing/updating once per frame, which is what people will typically do. This is very similar to people running timer callbacks at frame rate instead of using using split-frame loops or listeners to do certain computations and processing selectively. A simple design can get you only so far, but an efficient design requires much more thinking, and time to get right. For instance, D-LEON has done quite some Nasal/Canvas benchmarking and confirmed that MapStructure/Canvas are sufficiently fast already (and we're still exploring additional options for making it even faster). Also, we're looking into augmenting/re-implementing certain features through native code additions, such as having dedicated extension functions, Nasal library functions or new Canvas extensions to make things even faster. The key point here is that having a set of generic abstraction layers allows us to easily generalize, but also optimize, things - without having to rewrite all the places where Nasal/Canvas are used for mapping purposes. Things like the Avidyne Entegra R9 don't use the MapStructure framework at all currently - which also means that the code doesn't benefit from recent MapStructure optimizations unfortunately. Imagine we were to optimize positioned queries (NavDB stuff like VORs, NDBs, airports etc) to become 50% faster - all instruments and dialogs using the MapStructure framework would get this speedup for free, while custom solutions would need to separately implement the optimized query. And that applies to pretty much any effort that doesn't favor a framework-centric development approach. By the way, this is exactly the reason why the MapStructure framework lives under $FG_ROOT/Nasal, to help grow a shared library of fast components that can be easily reused, but also maintained - freeing aircraft and GUI developers from such chores and obligations, so that they don't have to track development and update all their own work in order to avoid breakage, but still benefit from recent optimizations. This is a lesson that we've learned from all the feedback that some of the most active airliner developers, like omega95 and redneck, have provided over time. Unless someone is a really experienced programmer, working with "low-level" Nasal & Canvas for mapping purposes is probably not a good idea, because we already have a handful of people working on a single framework that is dedicated to just that, and we actually do regularly profile things and we're talking to the Canvas guys to sneak out more performance, better speed, less lag etc. But whenever someone comes up with a custom mapping solution -solving the same problem that MapStructure and Gijs' ND frameworks solve- that doesn't use those frameworks, they need to do all the hard work from scratch, and code sharing/reuse and maintenance is made increasingly difficult, too. Basically, we end up "competing" without meaning to, by working on fairly similar projects, without coordinating our work to generalize and reuse existing solutions. Which is why we talked with the Avidyne Entegra R9 developers to team up with us: their code is much more elegant than the original ND/MapStructure code, but the latter is much more generic (aircraft/instrument agnostic), and also fairly optimized already. Admittedly, we already spent a while examining all the Avidyne Entegra R9 code there - we were kinda surprised seeing OOP code using design patterns solving a problem that we had been working on for several months. Actually, had we seen that code earlier, it would have been a much more mature foundation for a generic ND/MapStructure framework, because of its OO nature. But in the meantime, we've come up with something fairly generic - mostly thanks to Philosopher's MapStructure framework. As mentioned elsewhere, if we could have had a look at the Avidyne code it would have been a great/better foundation for MapStructure and the ND framework - but we had to work off a completely different code base (several actually), so things are a little inconsistent and less elegant - but those frameworks are really designed to be generic, not just intended to be used with different aircraft, but also different GUI dialogs. And whenever we add a new optimized feature, all people/aircraft/dialogs using those frameworks will benefit automatically (backward compatibility is handled by US). We literally depend on having many different use cases and front-end scenarios, i.e. for these two frameworks to evolve properly, we need many different aircraft developers to adopt them, do regular testing/profiling and provide feedback - and GUI use-cases are just as important. In fact, just for the sake of generalizing things, both frameworks contain support for being not just driven by the main/FDM aircraft, but even by AI aircraft. Technically, MapStructure layers are a bit more sophisticated than having pre-created SVG/OpenVG groups, because symbols can be cached in a separate canvas via a texture map, so that there's true "instancing" support for each cached symbol. This is something that we've been working on in the last two weeks. Also, positioned queries are handled by an abstraction layer to ensure that things are sufficiently fast using selective delta-updating. Besides, the ND/MapStructure code was intended to be reusable right from the beginning. Quite a few of the problems people, interested in mapping, are likely to encounter are already solved via MapStructure, i.e. identical paths for different symbols are simply instanced by using a raster image (canvas) as a cache. The bottom line is: if there's someone who actually IS experienced enough to know how to write good and fast Nasal/Canvas code, that person should better team up with us, to help improve the generic framework, rather than develop some niche instrument or dialog that will only ever be used by a few aircraft, work that may never make it into fgdata. Nasal & Canvas are really just tools, and tools can be misused obviously. Using them properly still requires certain knowledge, or slow code may result from it. We've been trying to make this easier by providing a few wrappers on top of Nasal/Canvas, that are intended to help with the creation of mapping displays, so that unnecessarily slow code can be avoided, while also allowing front-end code to directly benefit from optimized features. Badly written code will remain slow no matter how optimized underlying technologies like Nasal or Canvas are, even if they should be completely replaced at some point. Those are algorithmic issues, and MapStructure/NavDisplay are intended to help people focus on non-algorithmic stuff. — Hooray (Fri May 30). 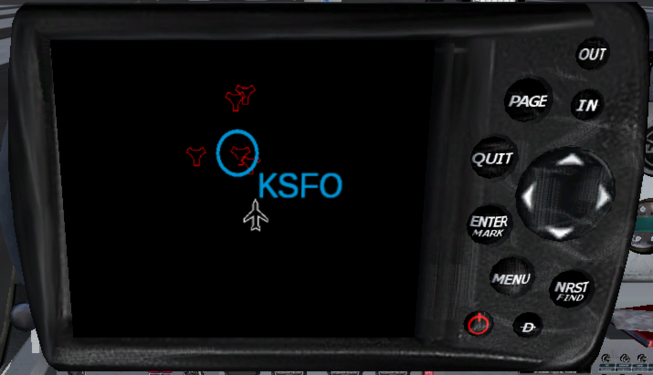 Re: Does FlightGear has Multiplayer Combat mode?. As part of increasingly adopting our Canvas 2D rendering framework and in order to help Unifying the 2D rendering backend via canvas, the canvas-based Map dialog is currently being overhauled by Philosopher and Hooray, who are hoping to finalize this in time for 3.2 - the hard-coded Map dialog will obviously remain functional for at least one full release cycle until it can be phased out by a pure Nasal/Canvas based solution using the new MapStructure framework. Currently, this is all still just available in the canvas-hackers team clone on gitorious - but we're hoping to implement the main missing features within the next few weeks. Currently, the amount of code required to display a full map dialog is surprisingly small, i.e. under 30 lines typically. Most of the other code is just about customizing appearance of the map and its various layers, i.e. styling. Spare time permitting, Philosopher and Hooray may also explore porting Stuart's airport selection dialog to get rid of the original mapping helpers there and use MapStructure instead. However, this will be a bit more involved, as it requires updating and porting a few non-MapStructure layers that are currently not yet used elsewhere, including some of the more sophisticated layers, e.g. for drawing airports, runways, taxiways and parking spots/heliports. One major addition that can already be seen in the screen shot below is that styling support is now becoming a key concept of the MapStructure framework, which means that symbols and appearance can be easily customized by non-programmers just by changing some values for things like font, font size, colors, line width etc. Sooner or later, we're also hoping to support replacing image sets completely, e.g. by using the vector artwork provided by Michat and pommesschranke. Internally, the code rendering the screen shots shown below is 100% identical with the back-end code used by Gijs' NavDisplay for rendering mapping layers, and it's already making use of symbol instancing, i.e. caching, to support faster updates and better frame rates/performance. Also, we can already show multiple independent instances of such dialogs/maps/instruments at the same time. Furthermore, we're also exploring the possibility of supporting interactive layers, these would be layers that respond to GUI events (mouse for now). Initially, this will be primarily needed for supporting zooming/panning functionality, which is already supported by the existing airport selection dialog. 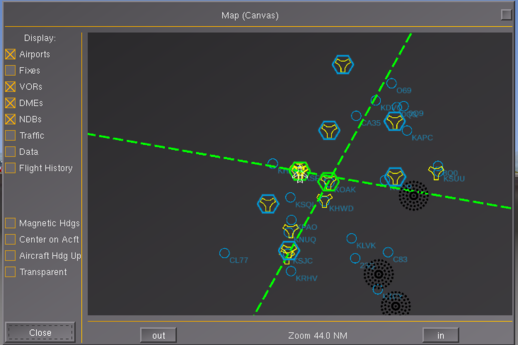 But we've also seen some interesting discussions on the forum about extending the new Canvas-based Map dialog to include navigation tools for flight planning purposes, like for example having an interactive protractor. After reviewing the requirements to make this happen, we've come to the conclusion that we're almost there - the MapStructure framework can already load and display most SVG images, and animating them to respond to GUI events is also supported through Canvas - Event Handling. So it's really just a matter of integrating things a little more and coming up with some helpers for "interactive" or even "editor" layers, which should also come in handy for the FlightGear Missions and Adventures effort, an experimental layer has already been added to display tutorial targets as a conventional MapStructure layer. Conceptually, it may even be possible to dynamically place 3D models via geo.put_model() by using an interactive MapStructure layer that turns screen coordinates into lat/lon pairs and uses them in the put_model() call. This could certainly be the foundation for a run-time object placement tool, e.g. 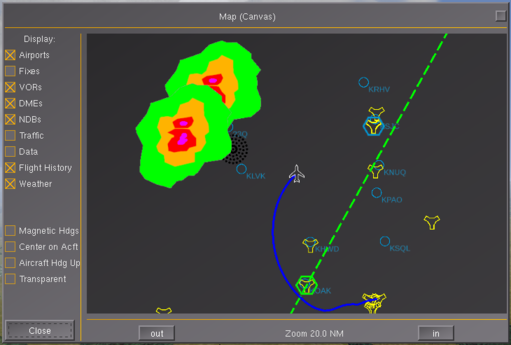 for placing scenery models or even AI traffic, which should come in handy for the Tutorials system, the advanced weather system or even the Bombable add-on. FGTAM - FlightGear Tutorials, Missions & Adventures has received an assorted set of icons created by Michat in order to support with standard vectorial graphics the broad range of options that this collaborative code effort and technology can offer to the FG Project. Here are shown some examples of icons that have been created. We've been seeing an increasing number of discussions on the forum started by people who are obviously eager to become potential contributors, either by adding new features to FlightGear, or by improving other aspects of FlightGear as a whole (community, infrastructure, usability, end-user support, accessibility, funding etc). Unfortunately, this has caused some friction over time, because people were expecting their involvement to work differently, especially those primarily making suggestions and providing feedback through discussions are obviously getting fed up with the community of contributors not responding directly to such feedback. Now, we do appreciate any community involvement obviously, but people who are serious about actually bringing certain changes to FlightGear will find that just making suggestions will typically not work too well, and that just participating in lengthy community discussions is usually fruitless. We've had some extremely heated discussions over the years, some debating interesting ideas - and many ending up being dozens of pages in size, containing hundreds of postings. Often, these contain lots of good ideas and suggestions, but sooner or later these suggestions become emotional and are no longer constructive - yet, we're dealing with them constantly, which is taking up resources, i.e. time and energy. In an open source project like FlightGear, which is entirely volunteer driven, time is the most precious resource we have to contribute. It is like a "currency" for the project, and whenever something (or someone) is taking up lots of time without anything materializing, this is draining resources from other areas, no matter if it's end-user support or development in some shape or form. We are now trying to document how "bootstrapping" a feature or project works conceptually, i.e. 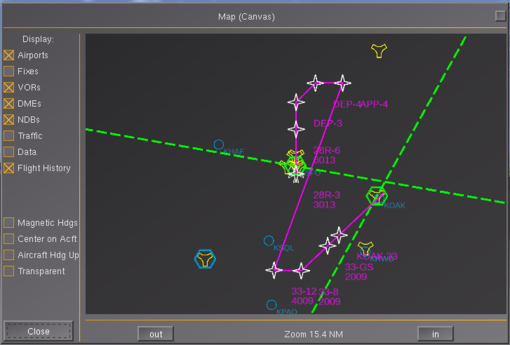 implementing new features for Flightgear - to provide a perspective that enables people to better understand how to bring changes to FlightGear without having to do all the work on their own. Note that this doesn't mean that this is the only way to accomplish something, but this is a tested and proven way - which we didn't come up with, but which is just a convention that happens to "just work", which is an important aspect for a non-organized project like FlightGear, where development itself also primarily "just happens". If you interested in other developing, i.e. not C++ but Nasal scripting and/or XML, there are some articles listed at Category:Popular Community Requests that have been suggested, but not fully or partially implemented, and are "mentored efforts". That means that the community is looking for a hand in implementing them -- help from you -- but will also have more experienced developers willing to help you, for example by having tailored tutorials or even code snippets written for you. As mentioned in each page, please get in touch if you would like to help with one of those projects. In comparison to C/C++, Nasal is simpler and easier to learn quickly. It also doesn't require recompiling, which means that you can test and develop changes with a standard FlightGear release, i.e. off of the main download page. 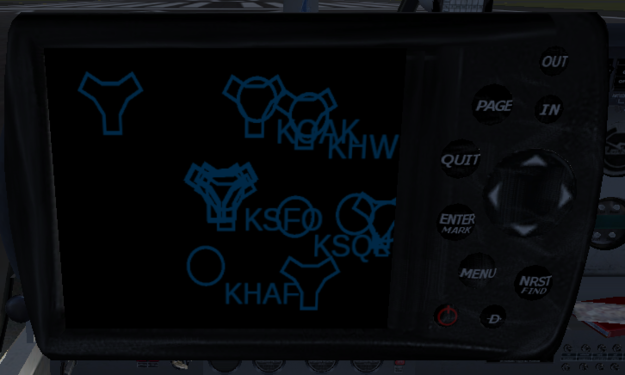 As long as you can run FlightGear, you can also run Nasal code and contribute. Many tutorials covering a wide range of projects are listed at Nasal, so if you know a programming/scripting language already, or would like to try something new, go ahead: read, write, try and get involved! When it comes to Nasal scripting, playing around with different tutorials and code snippets is more important than being an experienced coder. Of course, you're also free to work on whatever you want -- FlightGear as a community-driven doesn't tell people what to do, but welcomes any contributions from anybody, as long as they have acceptable quality and are free to be licensed under the GNU GPL. So if you have something you would like to contribute back to FlightGear, please get in touch! (Preferably using Gitorious for larger merge requests, and the forums or (core-) developer's mailing list to inform the developers of what you want to contribute back.) Changes contributed 6-8 weeks before a release will usually appear in the next release, so your changes can be spread across the world.